Spider-Man 3 (2007) was a disappointment to pretty much everyone, including director Sam Raimi. Although financially successful due to a surprisingly large worldwide gross (it remains the highest-grossing Spider-Man film worldwide), the messy narrative failed to live up to the standards of Raimi's celebrated first two films. In late 2007, Raimi and stars Tobey Maguire and Kirsten Dunst signed on to Spider-Man 4, James Vanderbilt was hired to write the screenplay, and an early May 2011 release date was announced. There was a lot of talk of multiple new films, including a fifth and sixth to be shot back-to-back after the fourth installment, but Raimi was focused on ensuring Spider-Man 4, aka The Amazing Spider-Man was a return to form. He later claimed that his primary motivation was making up for Spider-Man 3. Although the Lizard had been set up as a possible villain in previous films, and was a particular favourite of producer Avi Arad, the film went in a different direction. Raimi planned to use a series of lower-profile villains such as Rhino, Shocker and Mysterio (the latter to be played by Raimi's friend Bruce Campbell) in small appearances, with the Vulture, played by John Malkovich, and the Black Cat, played by Anne Hathaway, as the major villains. Raimi was unsatisfied with Vanderbilt's drafts of the script and brought in Academy-Award winner Alvin Sargent, screenwriter of Spider-Man 2 (Raimi, 2004) and Spider-Man 3, to rework the screenplay. Raimi later claimed that he hated every draft of the script, or maybe he had just lost confidence after the Spider-Man 3 debacle. Regardless, in January 2010, with the film not progressing creatively and Sony Pictures sticking to the May 2011 release date, Raimi walked away from Spider-Man, claiming he could not create a high-quality film and meet the deadline. Spider-Man 4 fell apart, and Sony Pictures and the producers, still wanting to be in the Spider-Man film business, needed a new plan for the series. In the late '90s, Marvel Comics experienced serious financial difficulties. The comic book market collapsed after years of rising sales driven by gimmicks and a collectors bubble, and Marvel declared bankruptcy in 1996. As the company dug itself out of this hole, the editors at Marvel looked for ways to expand readership. The most successful idea to come out of this period was the creation of the Ultimate Marvel imprint. The idea behind Ultimate Marvel was to reboot classic characters separate from the regular, ongoing Marvel Universe continuity. Creators would retell classic origins and stories in an accessible, modern setting, divorced from the decades of back-story that was so daunting to new readers. Obviously, as Marvel's flagship property, Spider-Man was the first character to be given the 'Ultimate' treatment. 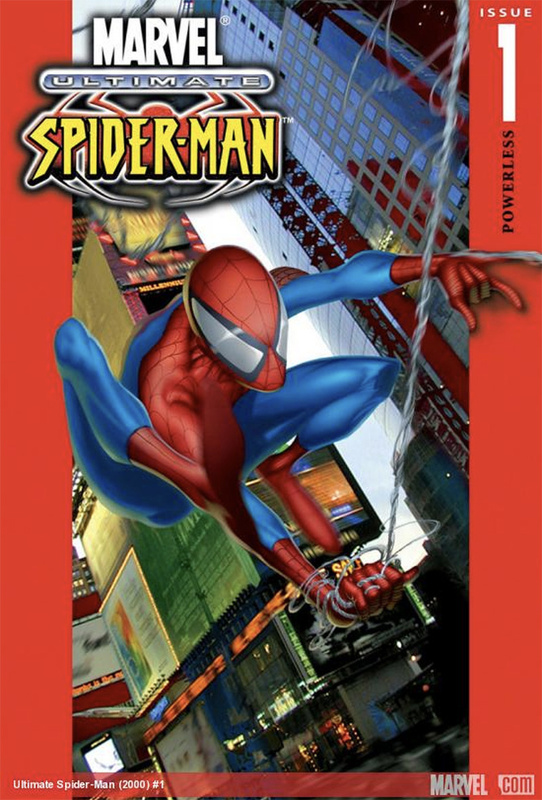 Ultimate Spider-Man launched in late 2000, followed by in early 2001, The UItimates (based on The Avengers) in early 2002, and later Ultimate Fantastic Four in early 2004. Aesthetically, the Ultimate Marvel universe became an increasingly large influence on Marvel films, such as Fantastic Four: Rise of the Silver Surfer (Story, 2007), Iron Man (Favreau, 2008) and Thor (Branagh, 2011). But narratively, Ultimate Marvel's biggest cinematic impact occurred in 2012 with the releases of The Avengers (Whedon, 2012) and, especially, The Amazing Spider-Man (Webb, 2012). The Spider-Man producers needed a new plan for the series following Raimi's departure, and they found it in Ultimate Spider-Man. Raimi's films are heavily influenced by '60s Spider-Man comics written by Stan Lee, and drawn by Steve Ditko and John Romita. Writer Brian Michael Bendis and artist Mark Bagley, who collaborated on over 100 issues of Ultimate Spider-Man, brought a completely different energy to the character that could be mined for the cinematic reboot. In their series, Peter Parker is less of a classic nerd and more of a social outsider, and Spider-Man is lanky like a gymnast. He tells his girlfriend, Mary Jane, his secret in Ultimate Spider-Man #13 (November 2001), as any excited teenager would. His Aunt May is a spry middle-aged woman as opposed to hopelessly decrepit. The origins of Spider-Man and many of his villains are tied to Oscorp, the shady genetics corporation run by Norman Osborn. Indeed, the Ultimate world is presented as much more grounded and similar to the real-world than its mainstream Marvel Universe counterpart. All of these elements were adapted directly into The Amazing Spider-Man to differentiate it from the previous Spider-Man series. But most importantly, Ultimate Spider-Man is young. There's a fixation amongst certain Spider-Man creators to keep the character as young as possible. Even though Peter Parker graduates from high school in Amazing Spider-Man #28 (September 1965), there exists a belief that the character's heyday was his high school years. For the entirety of his run, Bendis kept Peter Parker in high school. In the regular Marvel Comics Universe, the controversial One More Day storyline ends in Amazing Spider-Man #545 (January 2008) by erasing his 20-year marriage to Mary Jane from continuity in an effort to make the character seem younger and more relatable to the comic book reading demographic. And so, in the same vein, Peter Parker is a senior in high school for all of The Amazing Spider-Man, rather than graduating halfway through the film as in Spider-Man (Raimi, 2002). The director hired to take the reins of this new cinematic vision for Spider-Man was Marc Webb, fresh off the success of the wonderful (500) Days of Summer (Webb, 2009). Webb was hired days after the announcement of Raimi's departure, and a new release date was set for the summer of 2012. The villain was changed to the Lizard, and elements were taken from earlier screenplays by Vanderbilt and Sargent, with help from Steve Kloves. Webb was inspired by both Ultimate Spider-Man and Batman Begins (Nolan, 2005) to create a more grounded, realistic version of the character and depict a more in-depth, step-by-step version of the origin. Narratively, the filmmakers differentiated the film from Raimi's films with elements such as mechanical web-shooters, Peter's jokey repartee, and what Webb describes as the origin of Peter Parker, setting up earlier events in Peter's life that put him on the path to becoming Spider-Man. Choosing to retell the origin merely ten years after it was famously depicted in Spider-Man is the biggest misstep in The Amazing Spider-Man, and expanding it to this degree nearly sinks the film. It still works, however, and that's thanks in no small part to its charismatic leads. 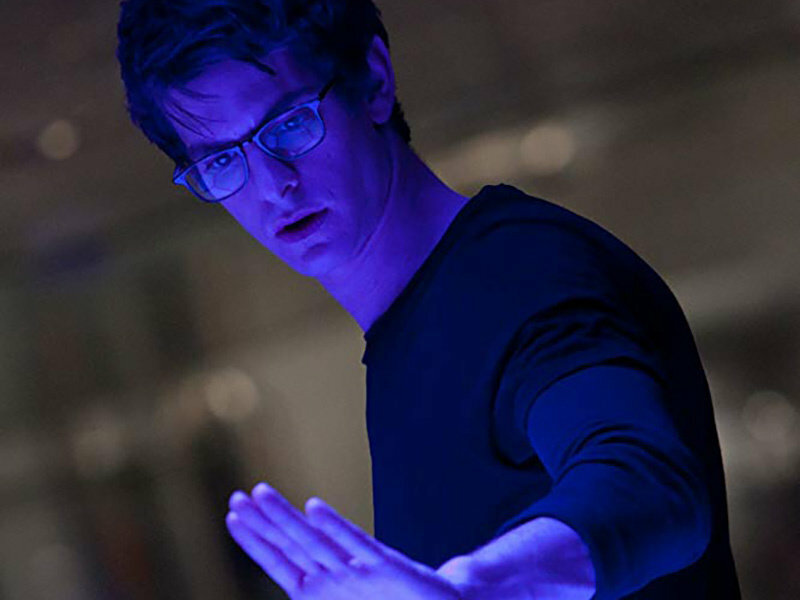 Andrew Garfield was cast as Spider-Man / Peter Parker in July 2010, just before the release of his breakout performance in The Social Network (Fincher, 2010). On a side note, a social media campaign began in May 2010 suggesting that Donald Glover be offered the role. He was never seriously considered by Sony, but the campaign started an uproar amongst fans about racial representation in comics. The discussion led Brian Michael Bendis to create Miles Morales, a popular half-black/half-latino character who succeeds Peter Parker as Ultimate Spider-Man in 2011. I would have wholeheartedly supported Glover in the role, but Garfield does an excellent job. Despite being two years older than Tobey Maguire when his tenure began, Garfield brings a youthful, nervous energy to the role. He was paired with Emma Stone as Gwen Stacy. After a series of memorable supporting roles, Stone had just broken out as a star with Easy A (Gluck, 2010). The screenwriters modeled the characters' close, no-secrets relationship after Peter and Mary Jane in Ultimate Spider-Man. Romantic chemistry between co-stars tends to be there or not, and no amount of acting skill can truly overcome its absence. In The Amazing Spider-Man, it's most certainly there. Garfield and Stone have incredible energy in their scenes together and it's not difficult to believe that they reportedly began dating during filming. The Amazing Spider-Man begins with a young Peter Parker (Max Charles) searching for his father (Campbell Scott) in a game of hide-and-seek. This is a nice establishment of the theme, as Peter is figuratively searching for his father throughout the film. When Peter discovers his father's home office has been broken into, his father and mother (Embeth Davidtz) quickly scrub it of their scientific work, and drive Peter to the house of his Uncle Ben (Martin Sheen) and Aunt May (Sally Field). We later learn that Peter's parents died in a plane crash shortly after, and Peter has spent the past decade living with Ben and May. Now a senior in high school, Peter (Andrew Garfield) is an awkward outsider. He seems well-known and liked around his school, but doesn't have any friends. He's a school photographer, skateboarder, has a crush on Gwen Stacy (Emma Stone), and stands up to bullies like Flash Thompson (Chris Zylka). Peter is shaken when a basement flood leads to the discovery of his father's briefcase. Hidden inside, he finds an old file containing his father's scientific research at Oscorp. Peter sneaks onto a tour of Oscorp's lab led by Gwen, an Oscorp intern, to meet his father's former research partner, Dr. Curt Connors (Rhys Ifans). Peter snoops around the lab, finding a room with the same markings as his father's file, and encounters a bunch of spiders. One spider gets caught in his jacket and inevitably bites him. Over the next day, Peter discovers his burgeoning powers in some delightfully silly scenes. First, he accidentally roughs up a group on the subway due to his newly sticky hands and feet, and his agility. The next morning, his newfound strength causes him to destroy his alarm clock and sink. In an effort to understand what's happening, and learn more about his father, Peter meets with Connors, who is both delighted and saddened to meet his deceased friend's son. Connors is missing his right arm below the elbow and has focused his career on cross-species genetics, hoping to use animal DNA to cure diseases or even help people such as himself regrow lost limbs. Oscorp is pushing him hard for a breakthrough, as its unseen CEO, Norman Osborn, is near-death. To impress Connors, Peter cribs an equation from his father's hidden file, giving Connors that breakthrough. Meanwhile, Peter's newfound abilities help him embarrass school bullies and give him the confidence to ask Gwen out for a date. His troubles at school worry Ben and May, however. After Peter blows up at Ben and storms out one night, Ben goes looking for him. After a convenience store clerk is rude to him, Peter witnesses him get robbed but refuses to help. The robber rushes across the street and bumps into Ben, dropping a gun. Ben tries to grab the gun, but the robber shoots him and Peter rushes to Ben's side as he dies. 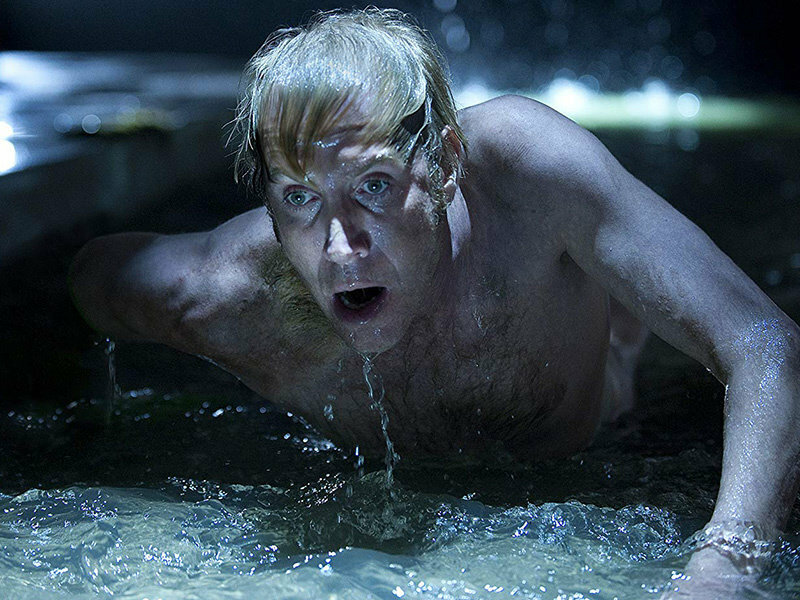 Following Ben's death, Peter is determined to use his powers to find the robber. He goes out into the night to track down low-level criminals, looking for the one who killed Ben. This early crime-fighting is not altruistic but motivated by revenge. He gradually creates mechanical web-shooters and a costume to hide his identity. But he's sloppy, going after thugs with no plan, throwing their weapons aside with little thought as to who might find them, and suffering visible wounds that worry Gwen and May. Much of this origin was familiar to audiences in 2012, as it had been depicted in the massively popular Spider-Man ten years earlier. 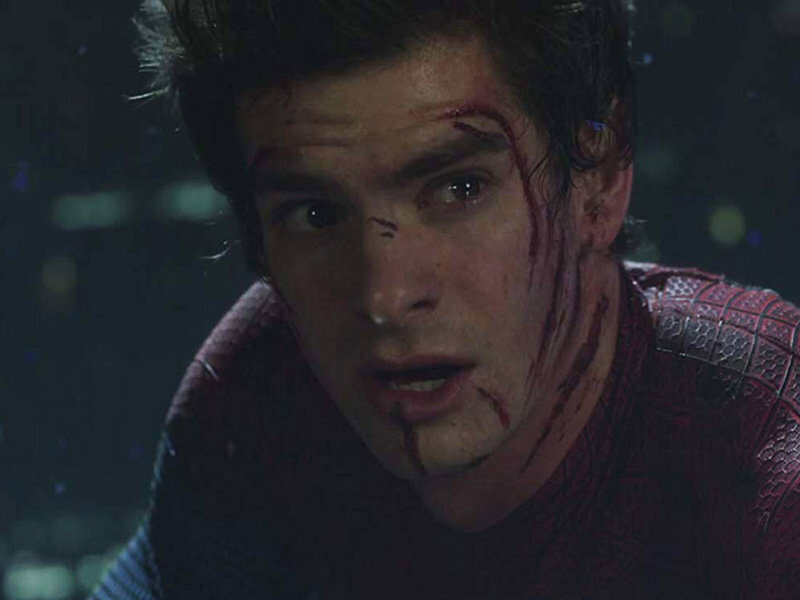 Scenes involving Peter being bitten in a lab, growing exhausted as his body changes, humourously discovering his powers, taking out bullies, lashing out at Uncle Ben, and getting the confidence to talk to his crush are all previously depicted concepts. Before his death in Spider-Man, Uncle Ben (Cliff Robertson) utters the classic advice "with great power comes great responsibility" to Peter. For some strange reason the filmmakers of Amazing Spider-Man felt that repeating this was a step too far, leaving Sheen's Uncle Ben to awkwardly talk around it by saying "[your father] believed that if you could do good things for other people, you had a moral obligation to do those things." If everything else was so similar, why not just have him say the famous line? In keeping with the darker, more realistic tone, however, Ben's murder in Amazing Spider-Man is more violent. Rather than being shot off-screen by a car-jacker while Peter was secretly wrestling, he's shot on-screen in a tussle with a convenience store robber while looking for Peter. Nevertheless, he's shot, he dies in Peter's arms, and Peter feels responsible. It all rather repetitive. Webb claims that Batman Begins was an inspiration both in terms of origin storytelling and tone. The problem is that Batman Begins was the first time Batman's full origin had been depicted on-screen. Prior to that film, audiences had seen the death of Bruce Wayne's parents and then, years later, he's a fully formed superhero. There was no depiction of the time in between until Batman Begins. That was not the case with Spider-Man. Audiences had already seen Peter Parker become Spider-Man in detail, and they were ready to just see him be a superhero. The filmmakers behind Spider-Man: Homecoming (Watts, 2017) were smart enough to skip the origin entirely, trusting audiences to know it. In The Amazing Spider-Man, however, the filmmakers felt justified in repeating the origin because they fleshed it out with with Peter's father, but that just made matters worse. For starters, despite being a longtime Spider-Man fan I don't care about the so-called Origin of Peter Parker. The mystery of his father's research, where it was going, why he was killed, and the relationship to Connors or Oscorp all seem irrelevant to Peter's story. Even worse, they're a waste of time, a slog to get through before the plot really kicks in. The "father issues" trope is overdone in superhero stories. If you take any male superhero character, there exists a story in which they are trying to come to terms with their father, or their father's death. The Spider-man mythos already uses that trope with Uncle Ben, but The Amazing Spider-man doubles-down on the father issues by making it about his uncle and his father. The worst part of the father backstory, though, is that it diminishes the best part of the Spider-Man character. From its inception, Spider-Man has always explored what it would be like if a regular person suddenly had superpowers. Now, what if you were just a regular person, with chores, school, work, relationship issues, financial issues, but you also had to be a superhero? Peter is relatable, he is or could be anyone under that full head mask (even Donald Glover). But by tying his origin as Spider-man to his father's research into genetics and spiders, suddenly Peter feels destined to become a superhero. He's not a regular kid who happens to get bitten by the right spider. Suddenly it's cosmically intended, making Peter less relatable. The mystery of Peter's father, unfortunately, continued into The Amazing Spider-Man 2 (Webb, 2014) where it did real harm to the film. Luckily for The Amazing Spider-Man, enough other things go right that the film still works. Indeed, Webb's intentions to create a grounded reality come through. He uses a more muted palette than in the Raimi films, which sets this series apart visually. New York City also appears more genuine than in the previous films, where the city was so romanticized. Beautiful shots of Peter on the rooftops of skyscrapers, a tiny speck on enormous buildings, are powerful. Webb also throws in a few point-of-view shots as Peter swings. Had they been overused, they may have been laughable or nauseating, but Webb uses them sparingly enough to make then feel special. Also, most dialogue scenes are shot unobtrusively, with the camera behaing more like a passive observer than a guide. This gives the scenes more of an indie feel than Raimi's classical Hollywood style. Beyond the visuals, the film is also emotionally grounded. Garfield has a twitchy, nervous energy early in the film but he grows more steady as the story progresses. The anger and sadness of his grief over Ben's death comes across as genuine, as do his physical injuries. He's constantly appearing scratched or bruised, giving his loved ones real cause for concern. His relationship with Gwen also comes across as genuine, like two teenagers finding first love. Peter tells Gwen his secret relatively early, in a scene that reminds me of a similar one in Batman (Burton, 1989). But later, when Gwen learns that she's the only one who knows Peter's secret, she barely hides a sheepish grin of delight in being so special and trusted. Stone and Garfield are magnetic in their performances, and I found myself looking forward to their interactions. Those interactions lead to the most interesting new element in this film. Gwen's father, George Stacy (Dennis Leary), is a police captain tasked with finding Spider-man. At a dinner with Gwen's family, Peter argues with Stacy about Spider-man's intentions and value. He's shouted down by Stacy, who explains that the police are the ones hired to protect the people. He points out how Spider-man has put people into danger and unknowingly interfered with serious police investigations. Through this discussion, Peter begins to realize the irresponsibility and selfishness of his vigilantism. 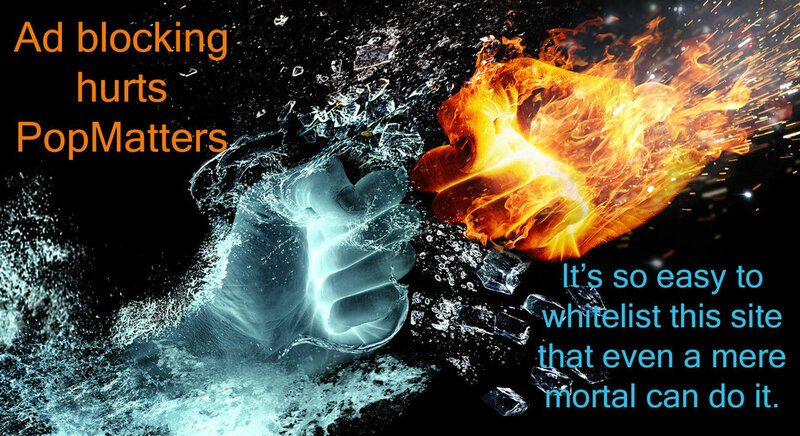 This is an interesting concept that's not depicted enough in superhero films. The proper authorities are often seen as ineffectual buffoons, unable or unwilling to do what's necessary, or easy allies of the superheroes, and little more. The Amazing Spider-Man examines the damage that a vigilante superhero could do to law and order. Meanwhile, Connors uses the formula given to him by Peter to perfect his work. He's pressed by Oscorp to start human trials and tests it on himself, like a real mad scientist. He regrows his arm, but also transforms into a humanoid lizard creature. The visual effects on the Lizard are excellent, and I appreciated the choice to give him a flat face rather than a more comics-accurate snout to allow him to credibly speak. His first act is to attack his Oscorp superior on the Williamsburg Bridge. Peter sees this immediately after his dinner with the Stacys, and rushes to help. This is the first time he acts selflessly as a hero, saving a boy from a falling car, demonstrating that Captain Stacy's argument had an effect. Peter goes to Connors for advice, but quickly realizes that he's the Lizard, making Peter feel responsible for his part in the Lizard's creation. Again, challenged to be more responsible, Peter brings the information to Captain Stacy, who is understandably incredulous. Peter follows a group of small lizards into the sewer and sets a trap for the Lizard. He shoots webs down a series of tunnels then lies in the middle, like a real spider, waiting to feel vibrations. As he waits, he plays a game on his phone. The web in the sewers, setting up his camera to photograph the Lizard, but also being a teen and playing on his phone make this one of the most true-to-character Spider-Man moments ever on film. Continuing from there, the Lizard learns that Peter is Spider-Man and attacks him at his high school. This is also vintage Spider-Man. The school evacuates as Peter fights the villain in street clothes, then finally finds time to change into his costume. This type of scene occurred several times in early Amazing Spider-Man comics and throughout Ultimate Spider-Man. Peter follows the Lizard and learns his ultimate plan: to unleash a biotoxin from the roof of the Oscorp building that will transform the city into lizard creatures. Here, the grounded reality aspect of the film becomes pretty strained, but it's fun to watch so who cares? Peter sends Gwen ahead of him to create an antidote at Oscorp. Meanwhile, Stacy and the police close in on Peter. He's caught and unmasked by Stacy, who's forced to decide whether to let him fight the Lizard or arrest him. He decides to trust Peter and lets him go, but one officer shoots Peter in the leg. What follows is pure schmaltz, but I love it and tear up every time. The father of the boy Peter saved on the bridge is a crane operator. He radios his colleagues to turn their cranes over the street leading to Oscorp, giving Peter an easy path to swing to the building. Though he's injured, Peter rushes with the full support of New York City to stop the big villain, as James Horner's score goes full Titanic (Cameron, 1997). Gwen creates the antidote and gives it to her father, who runs into Oscorp to help Peter. They fight the Lizard long enough for Peter to replace Connors' serum with the antidote in his delivery device. The Lizard impales Stacy with his claws before being cured. Connors even saves Peter from falling off the building, redeeming him somewhat. But Stacy dies, and he asks Peter to promise to stay away from Gwen for her own safety. The death of Captain Stacy in Amazing Spider-Man #90 (November 1970) was a landmark moment in the series. Unlike in the film, the comic book Stacy reveals as he dies that he had deduced Peter's identity and he asks Peter to look after Gwen. Gwen subsequently blamed Spider-Man for her father's death, and soon met a similar fate in the classic Amazing Spider-Man #121 (June 1973). In the film, Peter stays away from Gwen as promised. He eavesdrops on Captain Stacy's rainy funeral from a roof, and Webb creates another gorgeous shot with Gwen looking up for him amongst a sea of umbrellas. Gwen calls out Peter for ignoring her and, in the last scene, he agrees to break his promise. Perhaps this will seal her fate, we will have to wait two years and see. The Amazing Spider-Man is a good film, and certainly an improvement over Spider-Man 3. It makes some missteps with its repetition and expansion of the origin story, but it balances those missteps with some interesting realism, endearing, charismatic leads, and some excellent Spider-Man sequences. Perhaps if the producers had waited a little longer, this film could have been the Spider-Man for a younger generation of filmgoers, but Raimi's films still loomed too large and fresh in people's minds. Perhaps that's why this film is largely forgotten or looked down upon. In preparing for this article, I had several people tell me that they forgot about or were completely unaware of this film. "Emma Stone was in a Spider-Man movie? Two??" Maybe this film blends together with Raimi's films, or pales in comparison, in people's minds. Maybe it gets lumped in with its inferior sequel, The Amazing Spider-Man 2, and is perceived as a bad film. Maybe it was overshadowed by the two bigger comic book films of 2012, The Avengers (Whedon, 2012) and The Dark Knight Rises (Nolan, 2012). The latter, by the way, features Anne Hathaway as Catwoman, basically the same character as the Black Cat, which she would have played in Spider-Man 4. The Amazing Spider-Man was not a commercial failure. It was the seventh-biggest film of 2012 and had enormous success outside of North America. Within North America, however, its gross was a substantial drop from the Raimi films, giving some a cause for concern. Spider-Man was once the biggest cinematic superhero, but he was now overshadowed by Batman and the MCU. But Sony was pleased enough with the film that they rushed out a sequel in less than two years. Upon rewatching it for this article, I was pleased with The Amazing Spider-Man as well and I recommend people seek it out again, or for the first time. Stan Lee Cameo Corner: Stan Lee appears in one of his all-time great cameos. During the fight with the Lizard at Peter's school, they smash into the library. Lee is a librarian wearing headphones blaring classical music, unaware of the damage being done behind his back. That is 16 cameos in 27 films. Credits Scene(s): Connors is thrown into a prison cell where he is confronted by a mysterious man. The man asks if Connors told Peter the truth about his father. Sadly, this means that the unnecessary father backstory would continue into the next film. Next Time: Iron Man 3 launches Phase Two of the Marvel Cinematic Universe.